South Africa has played lot of cricket against South Asian teams In recent months. First they played with Pakistan In UAE and home. then they defeated India at home. Now they will be facing the Aussies at home. 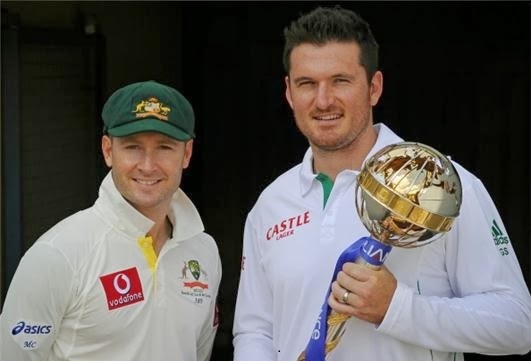 Australia Tour of South Africa will start from 12th February 2014 with 1st test In Centurion. Both teams will be playing 3 test matches and then 3 T20 matches before going to the T20 World Cup. we have seen brilliant performance from both sides recently. South Africa knocked out World champion India at home while Australia done white wash against England at their home. Now both of these in-form sides are going to clash against each other. South Africa will be having the home advantage. but any team can win.